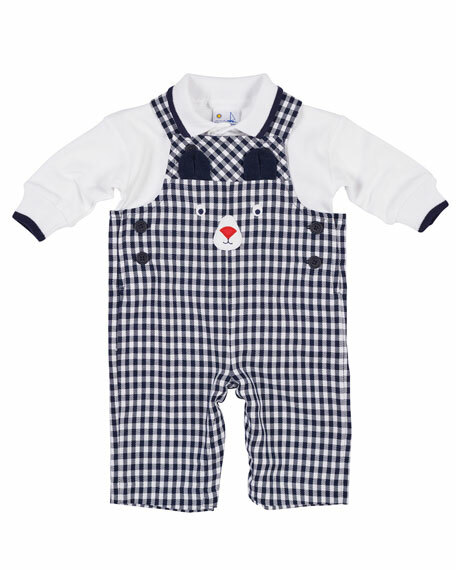 Florence Eiseman twill gingham overalls with solid shirt. Embroidered bear face appliqués at chest. Long sleeve polo shirt with button placket front. For in-store inquiries, use sku #2690235.